T’was the morning of Christmas, and all through the house, the only movement was a computer mouse. A teacher was stirring a hot cup of joe, preparing to teach eight classes in a row. Her hair was tied back, she was ready for fun, but replacing her orange shirt was a red and green one. 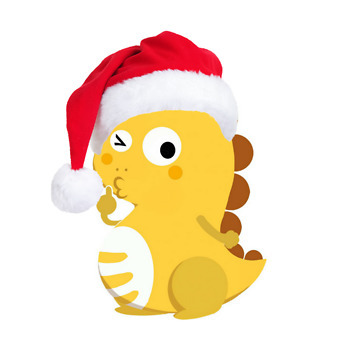 A small Dino plushie sat on her lap, with his adorable smile, and a red and white cap. She opened her computer and turned on the screen, the light shone from her eyes, a mischievous gleam. With the click of a mouse, in the blink of an eye, she traveled halfway across the world in no time. Her student peered out of her screen with joy, and said “Hello Dino,” to the plushie toy. The children in China were excited to see, exactly how Christmas day class would be!